‘Customer experience is much more than just a sales journey’. It encompasses each & every aspect of interaction with the customer, before and after the sale. From convincing a customer to buy a product to ensuring that he remains a loyal and repeat purchaser, the kind of interactions with your customer play a very crucial role in influencing his future choice. Hence, being prompt and helpful in all your customer interactions is key to driving engagement. Banking is one of the main industries seeing a lot of reliance of customer service executives to help customers in trouble. However, the conventional methods of customer engagement require a larger number of employees, which in turn is a huge investment of time and money. With long wait times, human errors, repetitive messages, it becomes a very tedious process for the customer to get the information he/she was looking for. It is also difficult for enterprises to ensure that their customer service costs are controlled while maintaining superior customer experience at the same time. According to an Accenture study, almost 75% respondents mentioned being “extremely frustrated” when having to contact the company multiple times for the same reason. And 66% customers were equally frustrated by having to repeat the same information to multiple employees. What if there was a solution to overcome these challenges? Messaging has replaced voice calling as the way humans prefer to interact among each other. What if messaging could be leveraged by enterprises to improve their customer service too? A chatbot is one of the easiest, yet most effective ways to achieve this. A digital chatbot carries out natural communication through speech recognition, natural language processing, and artificial intelligence reasoning. A simple bot can answer basic customer queries like the location of your branch, contact details of key personnel etc. while the high-end bots can also pull out information from your backend database and understand complex tasks like making payments. Banking sector would be hugely transformed if they could invest in bots for handling customer queries. A KPMG report has cited that conventional banking techniques could disappear and will be replaced by voice-powered digital chatbots soon. By integrating chatbots with core banking systems and ERP systems, users can now make bill payments, transfer funds, apply for loans and much more without having to search for these services in a website or app. 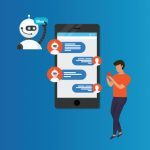 Chatbots can self-learn from every interaction, hence it will keep becoming better at finding the most appropriate solution in the quickest viable way. Banking customers will not have to wait to be diverted to the appropriate call center executive as the bot will be able to give the correct solution within seconds. Cross-selling and up-selling products will also become easier as the bot will be able to make decisions based on current customer interaction. It is believed that a fully functioning bot will be able to answer customer queries 4 minutes faster than a human interaction. Banks that handle thousands of customers queries a day stand to benefit a lot by investing in bots right now. Hence, it could bring a revolution in the banking sector. Banks can rely on chatbots to make their customer and employee interactions more productive. 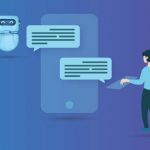 Customers can access self-service functions faster and bank agents or employees can work more productively by having information at their fingertips with chatbots. Streebo is one of the leading provider of chatbots, having helped banks digitally transform their customer service by embedding chatbots in their digital assets or on 3rd party messengers like Facebook Messenger. 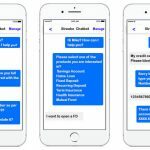 Develop the best in class chatbot for your bank by leveraging Streebo’s breakthrough chatbot builder tool. Get in touch for a personalized demo today.